The Philippines U16 team known as Batang Gilas are aiming for no less than the title in the SEABA U16 Championship 2017 that will be held in Manila from 12-18 May, and returning head coach Michael Oliver is pulling out all the stops to make sure the team achieve their goal of qualifying for the FIBA U16 Asia Championship later this year. The youth team's practices have been amped up of late, especially thanks to the arrival of key players Rence Padrigao and 2.10m Kai Sotto. Padrigao and Sotto are two talents whom many people see as the team's best options at point guard and center respectively. Coach Oliver is also hoping Padrigao and Sotto can be the team's leaders for the SEABA U16 Championship. 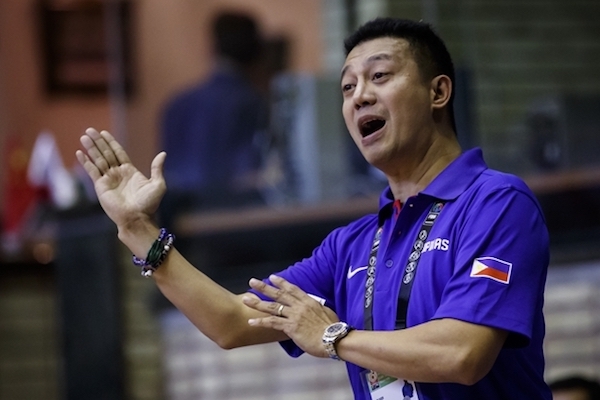 "Our practices have become better now thanks to the arrival of Kai Sotto and Rence Padrigao," coach Oliver said to FOX Sports Philippines in a recent interview. "Those two have been tested and proven during the past high school basketball season." Coach Oliver, who also helmed the 2015 and 2016 editions of Batang Gilas, has actually already started a series of preparation games for this U16 pool. He has arranged for them to play some of the country's top collegiate squads to get his wards more used to playing against bigger and more experienced opposition. "Thanks to coach Jamike Jarin, who also used to coach Batang Gilas, we were able to play against one of the best college teams," he said. "We were actually leading in the third quarter until the boys' inexperience showed when we faced more pressure, but at least we've seen their weaknesses this early." Coach Oliver is hoping to address those weaknesses and build on the team's many strengths, including their imposing size. Sotto, of course, defines this advantage, what with his being 2.10m tall, but a pair of other bigs — 2.05m Shaun Geoffrey Chiu and 2.00m Raven Cortez — are hoping to impress coach Oliver enough to make the final cut. Chiu and Cortez take the place of two other young big men who will miss the SEABA U16 tournament for a variety of reasons: 2.08m Ethan Kirkness and 2.00m Carl Tamayo. For the first time since he started coaching at this level, coach Oliver may just be parading an imposing triple tower frontline, and he is naturally excited at this prospect. "Our big men have shown solid skills in terms of defending and rebounding, but they need to work on their outside shooting," he explained. "We are looking at releasing our final roster maybe two weeks before SEABA begins."